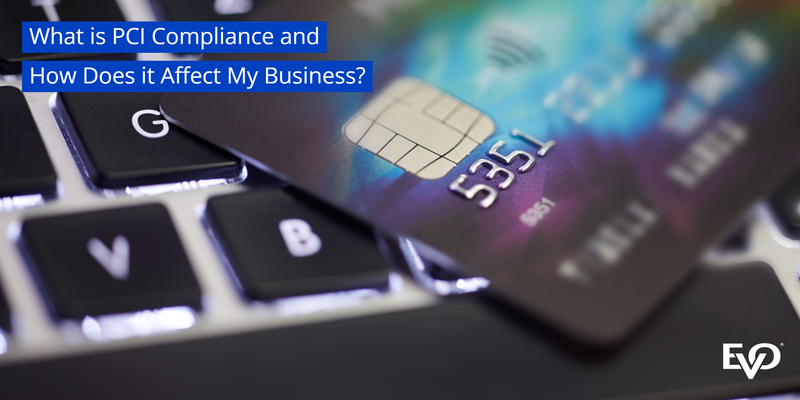 What is PCI Compliance and How Does it Affect My Business? | EVO Payments, Inc.
03 Apr What is PCI Compliance and How Does it Affect My Business? The PCI DSS (Payment Card Industry Data Security Standard) is a set of standards that are put in place to ensure that all companies accept, process, store, and/ or transmit cardholder data (i.e., credit card information) in the safest possible manner. The PCI DSS is run by the PCI Security Standards Council, which is an independent body founded by the five largest credit card companies. According to Verizon’s PCI DSS Compliance Report, 80% of organizations are still non-compliant. That’s a large number of businesses still at risk of a breach. The PCI Council started the initiative in 2006 to improve the security of payment transactions. The five credit card companies that comprise the PCI Council believe that sellers and organizations that accept credit cards are responsible for the security of those transactions. This is why it is crucial that preventative measures are set in place to stop the theft of cardholder data. PCI compliance is crucial for a number of reasons. If your merchant is using more than one independent provider to service their payment cycle, then they are more than likely sending out and storing customers’ data between all of their different providers. This makes the responsibility fall onto the merchant for validating and maintaining PCI compliance. Every time a merchant passes data between their different providers, PCI compliance regulations require that the seller ensures that each and every step is encrypted and protected in a way that only authorized parties can access. A self-assessment questionnaire is provided by the PCI Council that includes a checklist of their requirements that need to be fulfilled depending on transaction volume. Being non-compliant also comes with financial consequences. Merchants could face fines that range from $5,000 to $100,000 a month. The fines given out to the payment processors or credit card companies, and not the business, but it is more than likely that those acquirers will recoup their money and with added penalties. Many of the changes in the payment processing ecosystem over the past few years have been made with heightened security in mind, as companies look to stamp out fraud and reduce identity theft. However, the transition to a more secure payment environment has not always been easy, and some aspects of the transition lag behind where many think it should be at this point. The good news is that the industry-wide push for increased security – through both EMV and mobile adoption – seems to be paying off these days, as more companies realize the importance of the compliance and find effective ways of catching up, according to a report from Read IT Quick. The general trend toward broader consumer acceptance of these payment types is clear enough these days, but now that merchants are getting on board in earnest as well, it’s likely that use of and demand for more advanced security systems will pick up appreciably in the months and years ahead. EVO Payments International accelerates the economy with advanced payment acceptance and end-to-end processing solutions. We deliver reliable products and services that enable our clients to offer a variety of payment options on a secure transaction processing platform. Our competitive solutions promote business growth, increase customer loyalty and enhance data security in the international markets we serve.